*Guest appearances from Adamo Ruggiero (Marco), Lauren Collins (Paige), Miriam McDonald (Emma), Sarah Barrable-Tishauer (Liberty) and Shane Kippel (Spinner). 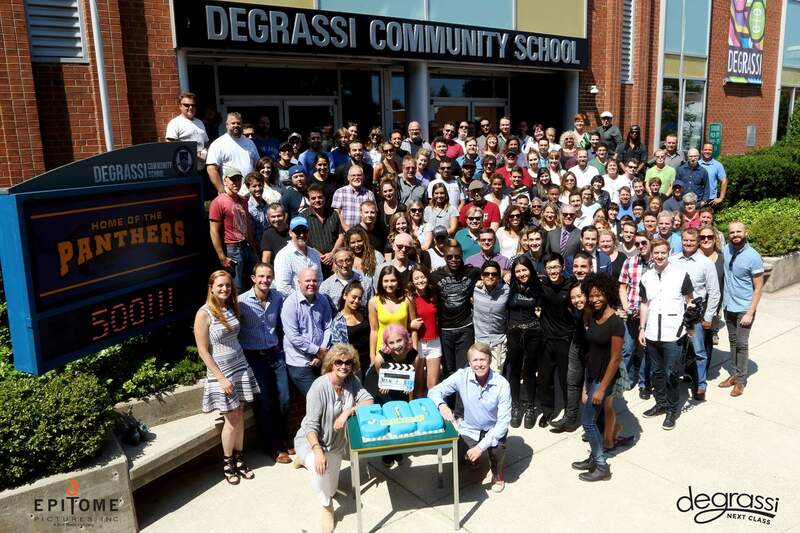 Jake Epstein (Craig) also reportedly appears, and Charlotte Arnold (Holly J) is also spotted in the group shot below. *The main plot of the episode deals with #BlackLivesMatter, so it’s safe to assume that’s also the episode title. This episode, which will be released on Netflix on July 22 (projected airdate for Family Channel would be Tuesday, August 16th), will be the 500th episode in a franchise that’s been around for over 35 years. I wonder if Spinner and Emma will be couple in this episode? I’m praying that they’ve divorced. Can’t wait! Although I was hoping for a Joey/Caitlin reunion or for Spike and Jack to be in it. I know fans dislike Spinner & Emma but I do hope they’re still married and very happy. People do change.. 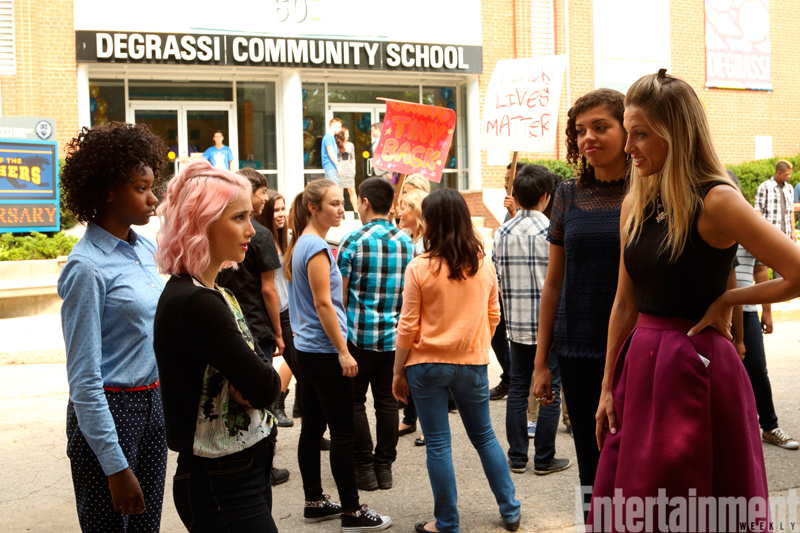 Does that sign in the picture with Emma and Liberty say “Bring Tiny Back”? Interesting… I also spot Tiny in that same picture to the far right though and he looks alright, so I’m unsure exactly what’s going on lol. Pretty sure it might have something to do with police…..maybe he got arrested for something. Wouldn’t it be July 11th for F2N’s premiere? It would air on that Monday and then air every weekday for 2 weeks, ending on July 22nd (when it streams on Netflix). July 15 is a Friday.